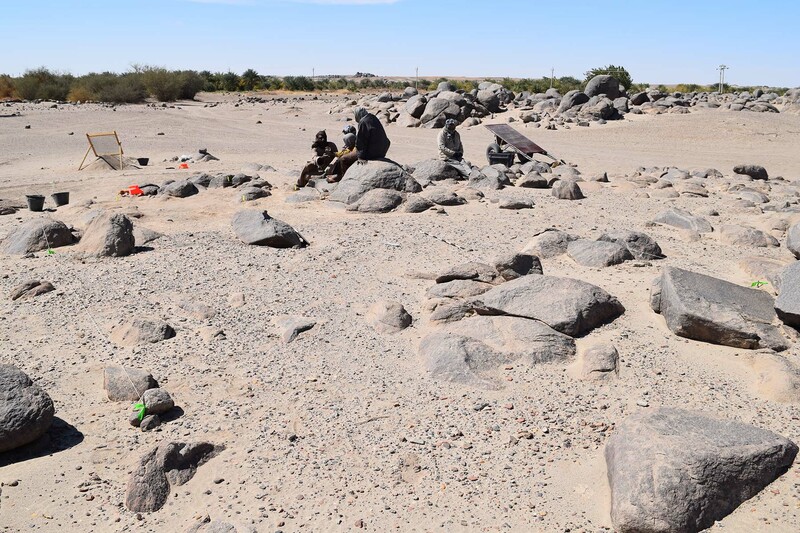 Over the last two seasons, UCSB PhD student, Jessika Akmenkalns, has conducted excavations at the site of Hannek, which is located just across the Nile from Tombos. Hannek is a habitation site that was occupied during the Kerma period, between approximately 2000 – 1500 BC and possibly later. The site can be thought of as a ‘suburb’ of the ancient town of Kerma, which served as the political and economic capital of the kingdom bearing the same name. Together with El Hassan Mohammed, Murtada Bushara, Mohamed Faroug, Mindy Pitre, and a team of local community members, we have documented the remains of numerous houses and other structures, along with ceramics, stone tools, food remains, and other artifacts that provide a window into the lives and activities of the ancient people who lived at Hannek.